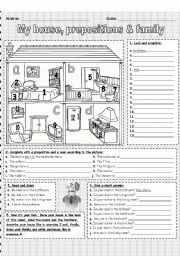 Review: house, furniture, prepositions, family and short answers. Peter is back home after 10 years and things have changed. Help him describing his town. Review There is/are & there was/were. 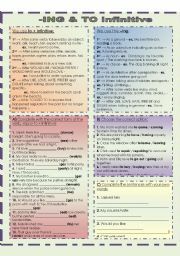 6 exercises (one of them vocabulary - places in local area) plus grammar box. There´s a colour version but I´m not uploading it. If you are interested, just pm me. 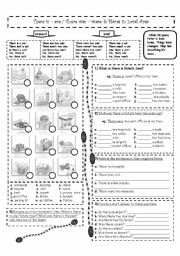 Worksheet related to the prepositions of movement. 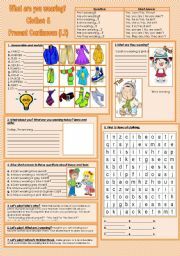 The poster and the crossword can be found in here http://www.eslprintables.com/printable.asp?id=370784#thetop and http://www.eslprintables.com/printable.asp?id=371217#thetop. All of the upload the same day. Very easy ppt aimed to young kids. "There is", "There are" and "Class itmes" are reviwed. When we click on the wrong option, a negative sentence appears. 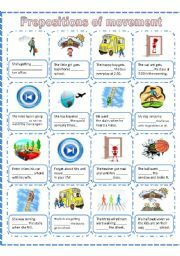 There are 5 correct sentences, click on them and practize prepositions. Weather review. Very easy for young kids. 2nd part will be uploaded soon (hope so...) The images are free and can be downloaded from Google Images, even though, the author´s name remains. Hope you like it, it´s the 1st PP I upload!! 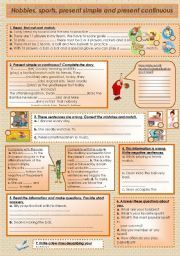 Very easy ppt aimed to young kids. Click on each picture, choose the right option and go back to the main slide. Read the descriptions and guess the animals. 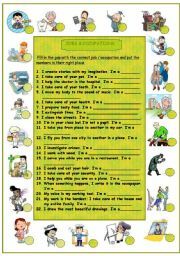 Kids will review: animals, to be, have got and the present simple. In the preview you can see the answer-picture, but you´ll see the description 1st when you download it. Two kids have written their letters to Santa Claus. Can you help him? Read and put the presents under the tree. Then, put some toys into Santa´s sack.